The large ones relate to Rays or Skate ; The smaller lighter brown (with curling tendrils) relate to Dogfish. Meramids purse is the colloquial name give to the eggcases of elasmobranch fish (cartiligious fish, opposed to boney fish; for those, like me, who didn’t know). Dog fish and Rays lay their egg cases on the seabed (or in the case of dogfish wrapped around seaweed). 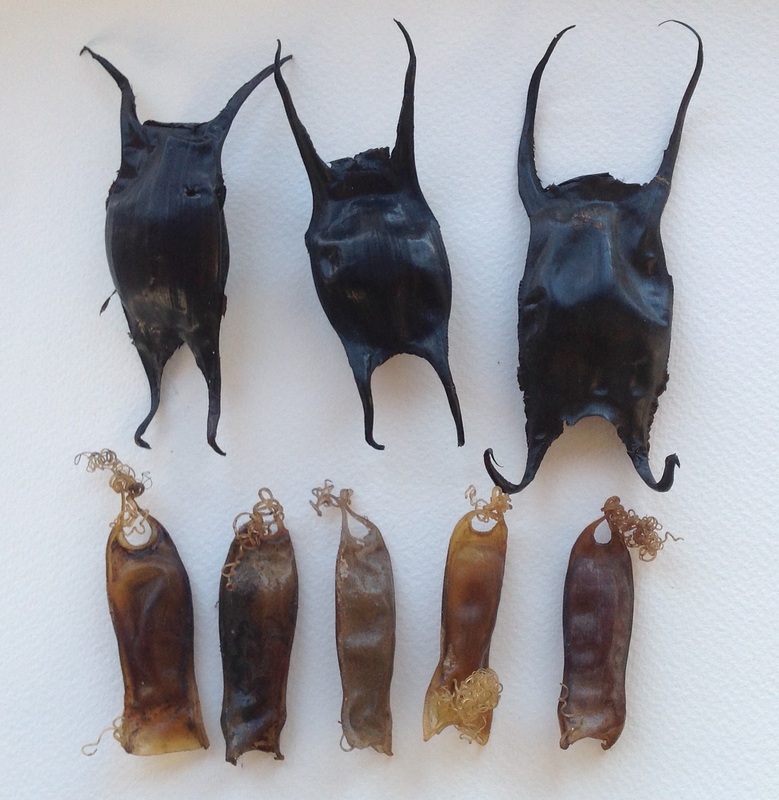 The eggcases of the dogfish have curling tendrils, which serve to secure them to the seaweed. The young develop within these eggcases, and are nourished by the ball of yolk surrounding them in the case. … the source of my information on these lovely little beachcombing finds. Not sure who named them ‘mermaids purses’, (if anyone out there knows, do please let me know) but really enchanting for little ones …. ← I should cocoa / cacao !